There’s still no substitute for real life, real world, offline connections. 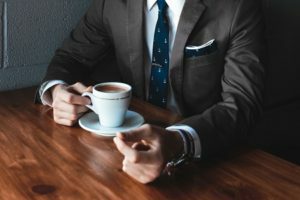 Unfortunately, in my role as an executive sales coach and consultant, I meet far too many salespeople and sales leaders who don’t have the skills necessary to develop those person-to-person relationships. They rely on digital connections and, in doing so, don’t nurture the skills to needed for first-person connections. buy Depakote with mastercard buy modafinil online south africa Seven seconds. According to many psychologists, that’s the amount of time you have before a new contact forms their first impression of you. In fact, Princeton researchers have found that some people form first impressions in fractions of a single second. While you may be able to change a poor first impression later, it’s not easy. Those initial judgements are persistent and can guide the relationship going forward. Practice the way you meet people and introduce yourself. You want to exude confidence, as nonverbal communication is often more impactful than the actual words that come out of your mouth. Stand up straight. Smile. Maintain good eye contact. Offer a firm handshake and stay engaged in the conversation. These are basics of professional communication, but even the most experienced salespeople seem to forget them. Practice the art of the initial introduction in front of a mirror. And also rehearse your opening statement about who you are and what you do and how you can help them. The more confident you are when you meet a new connection, the more positive their impression will be. Confidence doesn’t just help in a one-to-one conversation. When you exude confidence, you emit energy that will attract others. People want to connect with other successful, happy, confident people. If you are confident in your verbal and nonverbal communications, you will likely find yourself having more conversations with new connections. Rehearsal is a great way to build confidence and nail that first impression. However, within a few seconds, nearly every conversation you have will take its own shape and direction. You can’t script or rehearse entire conversations. Consider the standard conversation you’d have at a networking event or conference. By definition, these conversations can be awkward. You’re often forcing conversation with someone who you don’t know all that well. The goal in these conversations is to find commonality. Obviously, you share a commonality in being at the event. You may work in the same industry or be members of the same organization. However, that’s a commonality that the person shares with many other people. You want to find a commonality that is unique to this connection. One way to do this is to remember that people love to talk about themselves. Resist the urge to talk about your new project or service and instead be prepared to spend most of your time listening. A great way to begin a conversation is to ask them where they are from. Their response gives you more information to begin to find those nuggets about what you might have in common. Also, don’t feel like you have to talk shop. Sometimes the best business relationships are built on a personal connection. Perhaps your new connection has a hobby or interest that you share or recently traveled to a location that you love. Family can be a great way to build a connection. If the person brings up their children, spouse, parents, or other loved ones, don’t be afraid to ask appropriate, non-invasive follow-up questions. The key is to be flexible. Don’t force the conversation. Listen carefully and pick up clues for potential commonalities and then ask questions. Remember to do more listening than talking and stay engaged and sincere in the conversation. Professional relationships are no different than friendships or relationships with family. You have to make an effort to keep them alive and strong. If you don’t reach out or make an effort to connect, the other person will have little incentive to make an effort on their side. Most new professional relationships die because of a lack of follow-up. You meet someone at a networking event, get their card, connect with them on LinkedIn, and then you never hear from them again. It makes it tough to leverage that relationship in the future if you haven’t taken the time to nurture it. Take it a step further. Send them a follow-up email that references something specific from your conversation. Establish a next step. It could be meeting for coffee or lunch. It could be offering to introduce them one of your connections. Or it could be something as simple as asking to learn more about what they do. And sending them an article or whitepaper that aligns with their interests or industry. However, if you think the relationship could have value, you can’t just file the card away and then reach out when you need help. You have to approach follow-up from the perspective of being helpful and adding value, even if you may not get the same in return. By putting the new contact’s needs first, you lay the foundation for a substantial and valuable new business connection. Need help expanding your network in 2017? Let’s talk about it. I’ve coached, trained, and consulted with successful sales professionals for more than 25 years, and I look forward to helping you reach an elevated level of success. Let’s connect soon and start building our own real-world professional relationship.